Between 1856 and 1866, it's not very popular but camels were being utilized in training and hauling, with the main action occurring at Camp Verde in Texas. 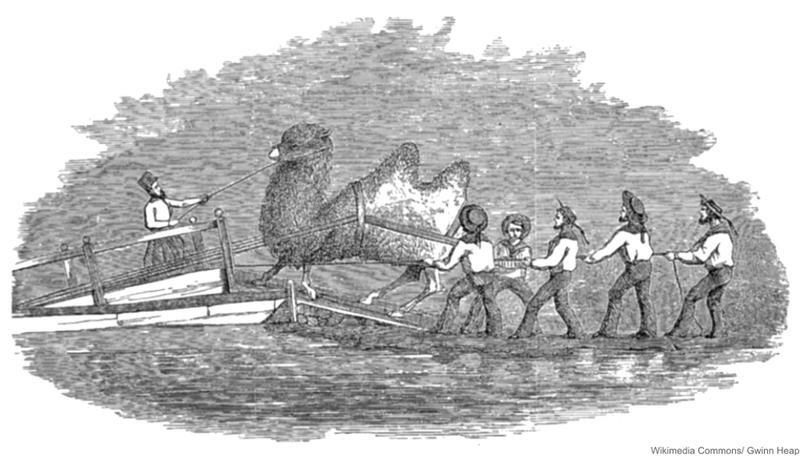 The plan to use camels for traversing the rocky terrain of the new frontiers of America was initially proposed by Lt. George Crossman and E.H. Miller in 1836. However, it was swiftly turned down by the War Department. When word of this idea reached Senator Jefferson Davis, he convinced Congress and the President that camels just might be the solution. His requests were finally ratified in 1855, and was provided $30,000 for the importation of the said camels. There were many breeds at Camp Verde in 1857, a total of 70 camels. The first “official” Army tests of the camels did not begin until 1860. These were favorable except for one test in which the camels did not perform well. During the Civil War, these tests were cut short. 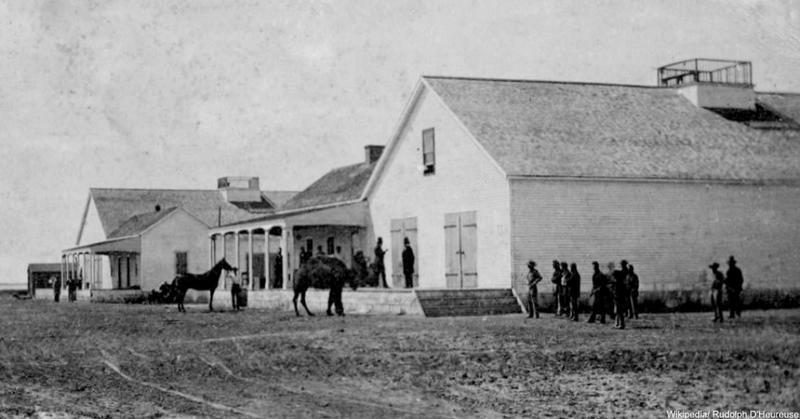 Camp Verde was inhabited by rebel forces in 1861 and various camels were used to transit Confederate supplies. The primary proponent of the camel idea, Jefferson Davis, now supported and directed the Confederate forces. After the Civil War was over, Davis’ lack of loyalty to the Union placed the project in jeopardy, because anything with his name on it was a suspect. Without due process, Davis was accused, and served two years imprisonment. In 1864 and 1866, the camels were sold to circuses, ranchers, and, transport companies. Several of them ended up being released by these private owners. This lead to sightings of wild camels during the 1930s and 1940s in California and across the Southwest! A forgotten history, but has intrigued few individuals in Texas who are now attempting to regain the Camel Corps in all its glory. While the concept of a Camel Corps turns out to be just as unpopular currently as it did in the 19th century, it's good to know that these hard-working creatures are finally being appreciated.